of Hindi compulsory in all its schools. The announcement by the Acting National Secretary of the Sabha has been welcomed by parents. The move arises from the FF Government’s failure to implement a policy decision of the Bainimrama regime taken in 2008 and announced with much fanfare that the Fijian (iTaukei) and Hindi languages would be taught in all primary schools as compulsory subjects. But it remained largely a policy decision without any tangible efforts made to implement it. Five years later, in the imposed 2013 Constitution, the regime inserted a provision stating “conversational and contemporary iTaukei and Fiji Hindi languages shall be taught as compulsory subjects in all primary schools”. Then in 2014 the FF government ‪#‎disallowed‬ the use of vernacular languages in parliament. Standing Orders were amended to prohibit MPs speaking in their own tongue if they so chose. This was a complete departure from past practice which allowed Members to speak in Hindi or the Fijian language with simultaneous translation provided by parliamentary staff. 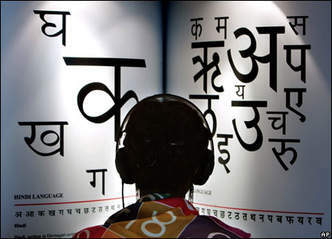 There were reports late last year that the teaching of Hindi was to be discontinued at USP. 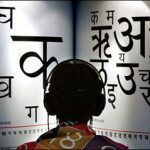 Reverting to the matter of ‪Fiji‬ Hindi – we say it is not a recognized language. It is purely conversational with no formal grammatical structure – and that is where it must remain. It is not acceptable that it be taught in our schools as a substitute for Hindi. Any attempt to ‪bastardise‬ the language must be sternly resisted by all Indians. Likewise, the iTaukei (Fijian) language must be respected and taught in its true form. Our languages are the very heart of our respective cultures and no one must be allowed to dilute or demean it. We urge Opposition MPs to take it up as a serious issue and fight hard to reverse the damage done by those with hidden agendas. Khaiyum caught lying to Parliament?